Peaches are in the height of season. My favorite are white peaches, as they are so sweet and juicy. Here's my favorite summer drink that's made with simple syrup from Splenda to cut the calories without sacrificing the taste. 1. Splenda Simple Syrup—Combine cup of Splenda (do not use the "Splenda for Baking" product) and one cup of boiling water. Bring water to a boil in a saucepan. Dissolve one cup of Splenda in the boiling water and allow mixture to cool. Strain through a coffee filter to remove any sediment. 2. 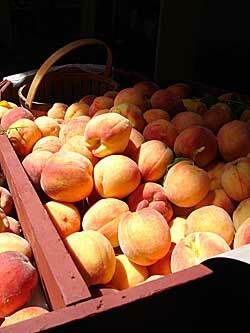 Rough chop peaches and set aside, and then coarsely puree in a blender. 3. Muddle lime zest and 2/3 cup mint leaves. Then, add the lime juice. 4. In a big pitcher combine all ingredients (except ice and the garnish springs). Refrigerate and let chill for 30 minutes to an hour before serving. 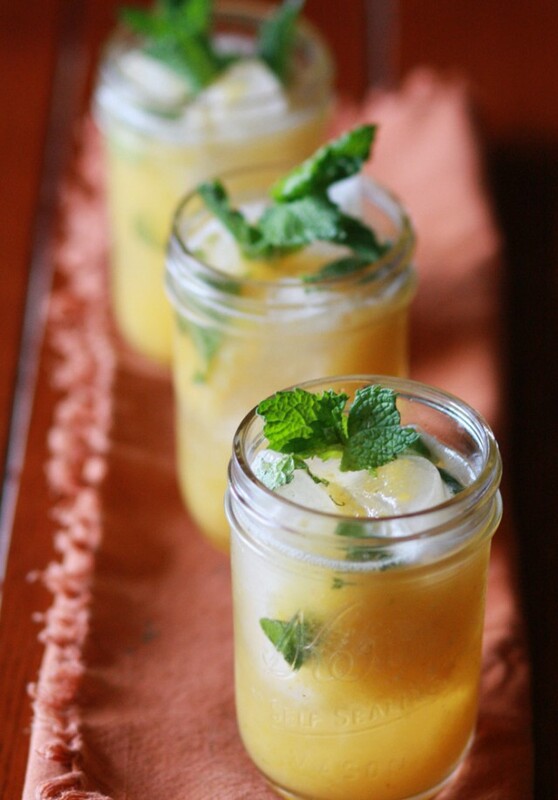 Pour over lots of ice and serve garnishing with sprigs of fresh mint.